Making the most of a small space is something we typically look for in a Modest Mansion, but sometimes, just a little more space makes everything work the way it should. 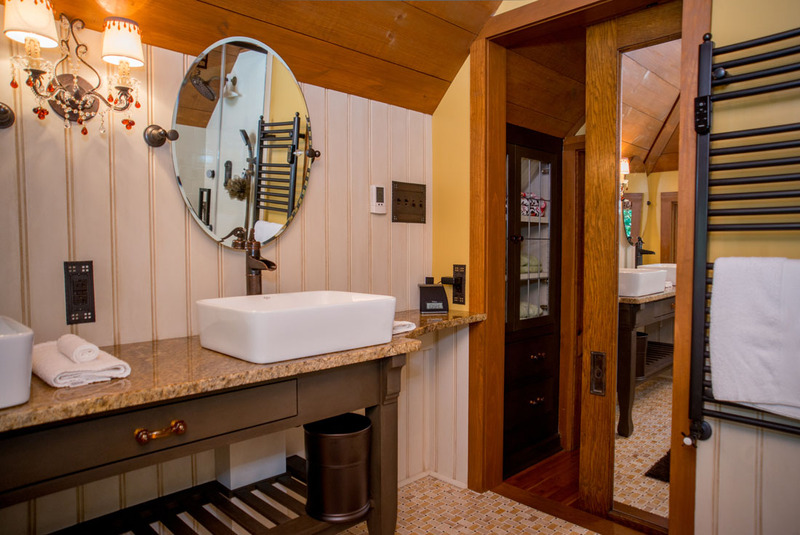 I added a little more space when I designed this project, turning this cute little hall bath into a very comfortable and well-appointed master bath. 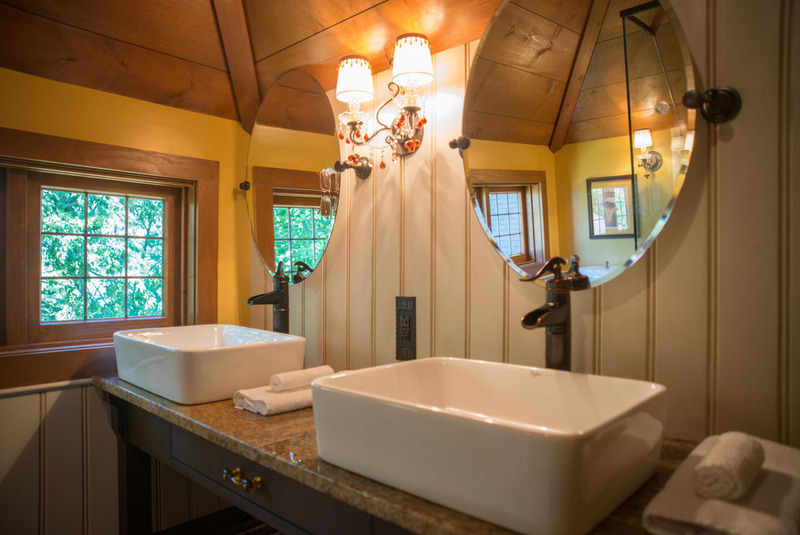 The bath is tucked up under a dormer on the second floor of a great little cottage in Chillicothe, Ohio – you can see the shape of the new, larger dormer roof in the photo above, and the same in the original dormer in the photo below. The new dormer is about twice the size of the original, and was designed to fit the character of the exterior of the cottage perfectly. 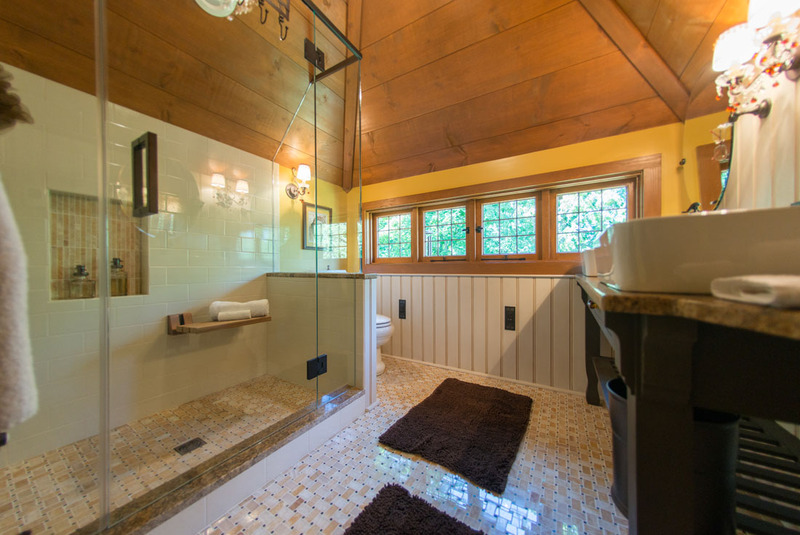 A couple of changes helped open up the dark, cramped bath; the larger size of course, but also the additional windows, and making the shower all glass – letting the light fill the space. This view is looking back towards the bath door (the door is open; the door you see is across the hall). 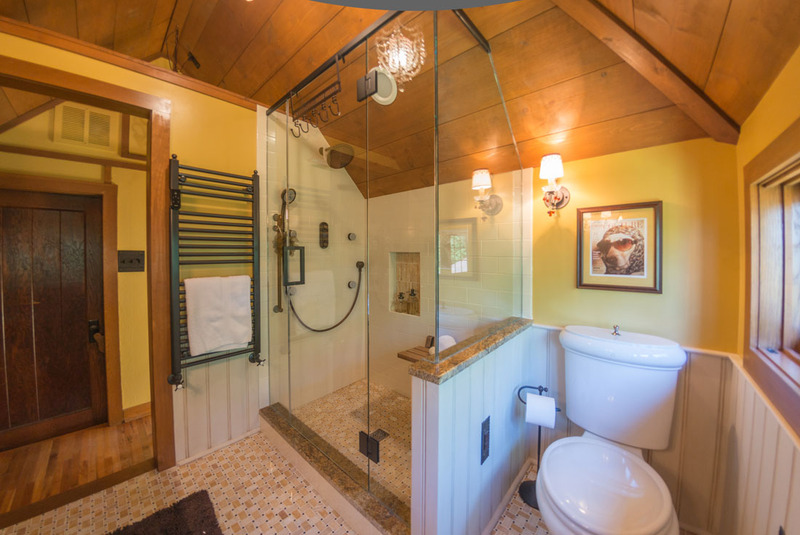 Check out the extra touches – shower wand and rain head; shampoo niche, and best of all, the heated towel rack (gotta have one of those). 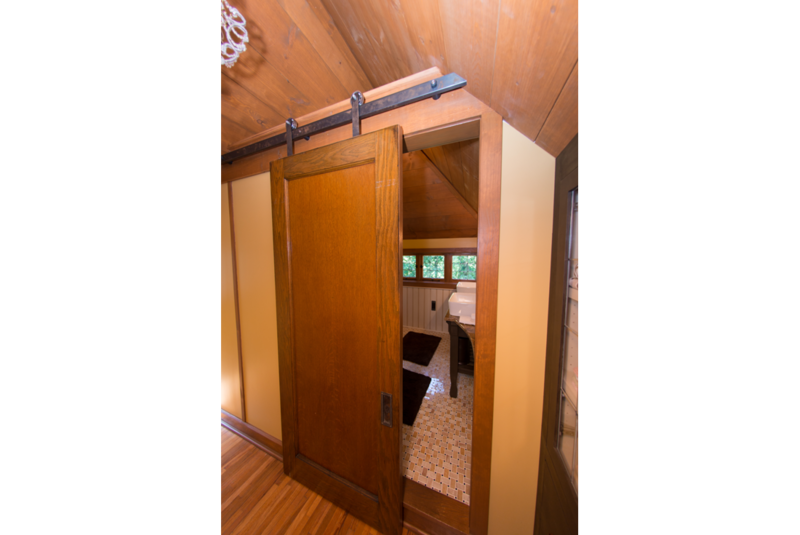 Note how the wall is held down above the door to let the ceiling space flow between the bathroom and the hallway. From the hall looking back towards the bath – the original door was on hinges, but blocked the hallway whenever it was opened. The “barn door” hardware on the new door lets it glide out of the way. This close-up of the sink shows more clever touches. 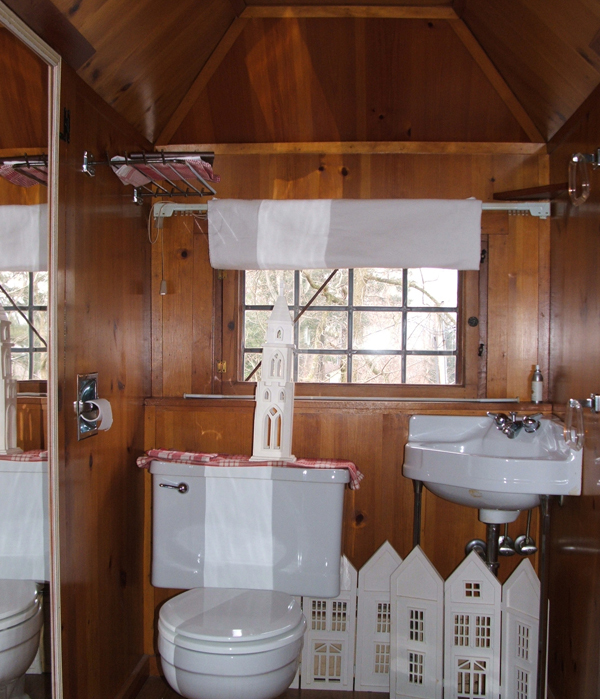 Just outside the bath door, a new built-in cabinet holds towels and linens. The cabinet is hinged to reveal access to attic space beyond.